Vietnam's police chief has sounded alarm bells that Vietnam might become a drug smuggling hub from the Golden Triangle to a third country. Minister of Public Security To Lam said that recent criminal movements have somewhat showed that drug traffickers have turned their directions to Ho Chi Minh City (HCM City), VnExpress reported. The latest case happened on March 27 when HCM City’s traffic police found that a truck carrying nearly 300 kilograms of heroin, arresting two foreign involvers. Earlier this month, the city’s police seized nearly a ton of methamphetamine, including 276 kg in the Philippines in cooperation with Filipino police. 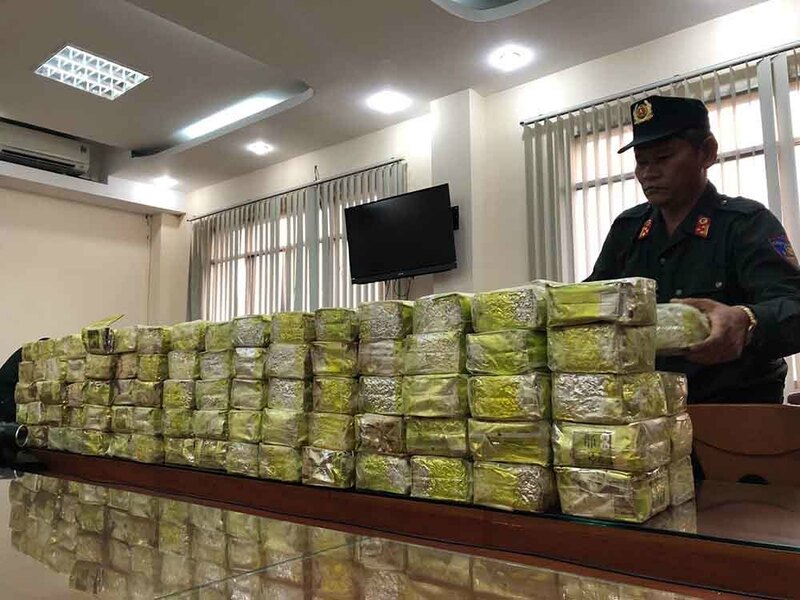 Since a drug control case was launched in October 2018 after the police arrested a Laotian drug trafficker and seized 300 kg of methamphetamine, Vietnamese police confiscated more than 1.16 tons of methamphetamine and 300 kg of heroin, the largest amount to date. To Lam said that this is only an iceberg. Meanwhile, Major General Phan Anh Minh, deputy head of HCM City’s police, said that the city has already become a drug hub in which transnational traffickers bring cocaine (which is not produced in Asia) from Latin America. He said that the city’s police have recently uncovered a case in which Mata Bernal Carlos Rene, 38, from El Salvador hid 56 kg of cocaine inside batches imported from Latin America. Another case involved in a foreign man who was hired to transport cocaine worth US$300,000 in Tan Son Nhat international airport not long ago. According to local media, drug traffickers have changed their direction from the northern to the southern economic hub of HCM City following a path from the Golden Triangle through Laos to Vietnam’s central provinces of Quang Binh, Quang Tri, and Ha Tinh (the localities border with Laos) then to the city. Speaking at a meeting last weekend, General To Lam expressed caution about social security and evils that would be caused by drug crimes. He said drug would be the origin of social problems like addiction, thief, robbery, and murder. He warned the police forces and authorities of the operations of foreign-invested companies in Vietnam of possible drug smuggling, affirming that Vietnam needs to take drastic measures to prevent the country from being a drug smuggling depot. Local experts have warned HCM City of the possibility of a drug smuggling depot as it’s not far from the world’s drug production hub – the Golden Triangle, it has good transport networks, and the country’s largest drug addiction community with more than 23,000. They said that combating drug crimes costs more time, effort, and money to uncover transnational drug trafficking rings because of its complexity, dangerousness, and recklessness.